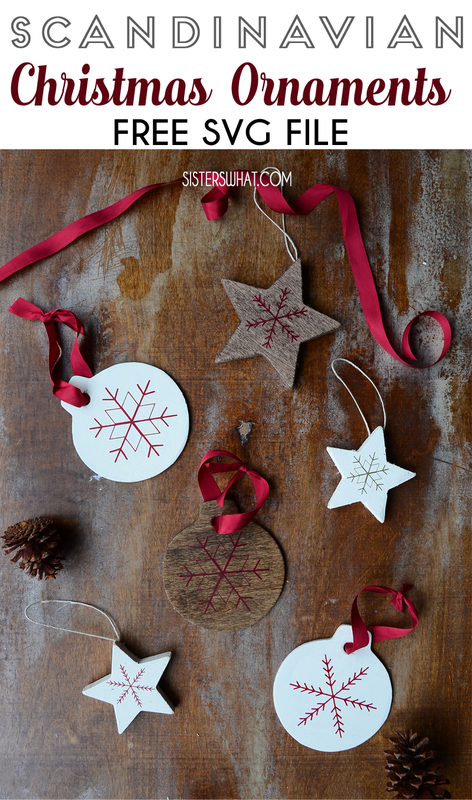 ' Scandinavian and Hand lettered Modern Christmas Ornaments - Sisters, What! These modern Christmas Ornaments are simple and easy to make using hand lettering or cutting out vinyl with your preferred cutting machine. 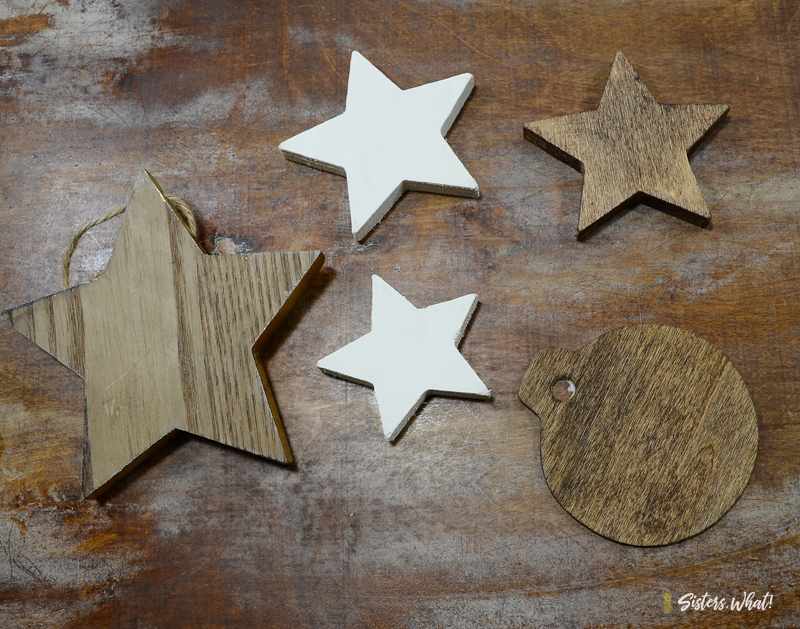 The stained wood and Scandinavian stars are perfect for minimalist Christmas decoration. 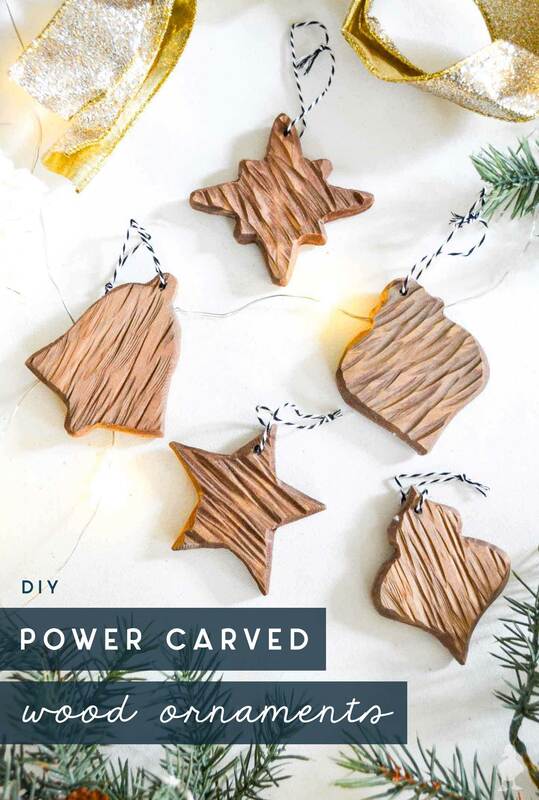 This is a sponsored post written in partnership with JOANN.com, all words and opinions are my own. Of all our Christmas decorations, the tree is definitely my favorite. I love the symbolism of it and the light it brings into the home during these dark days. Most of the ornaments on the tree are homemade and are starting to have a rustic woodsy theme about them. 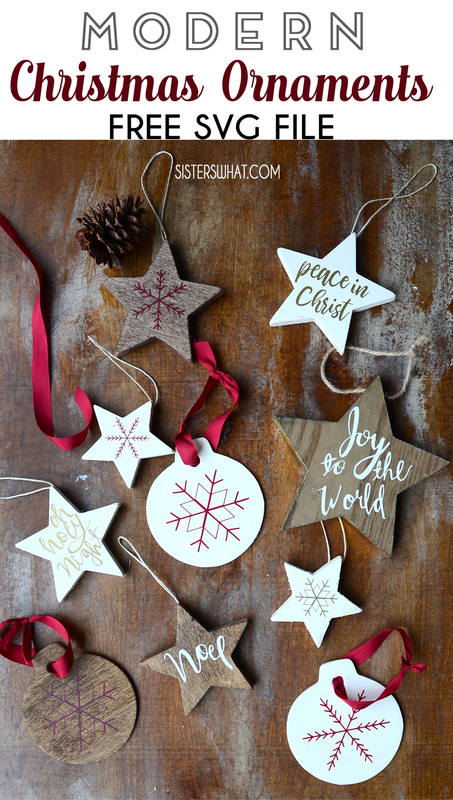 When I saw some wood stars and round wood ornaments at JOANN I immediately envisioned some new wood ornaments with hand lettering phrases. I've been using the Kelly Creates Lettering books to practice my hand lettering, but I definitely have some ways to go. 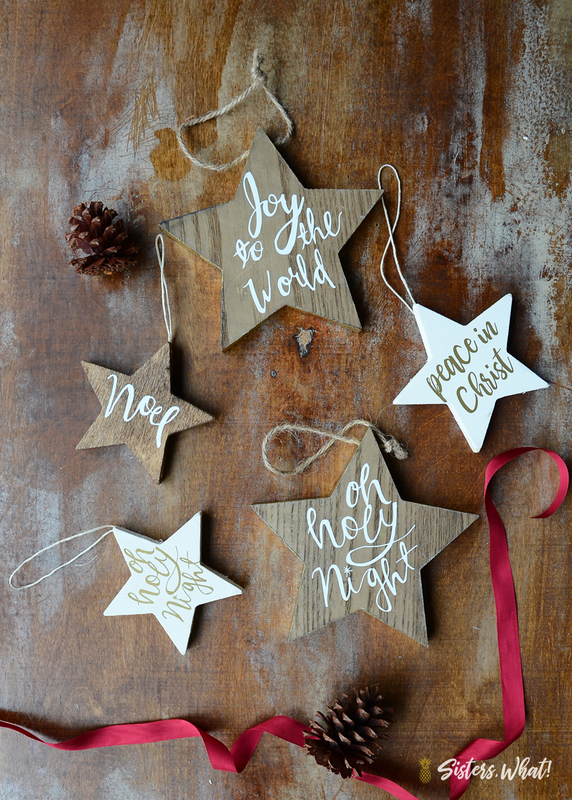 But I love that I was able to hand letter these Christmas phrases myself and put them on ornaments! I tried some with paint markers, gold markers and paint brushes. 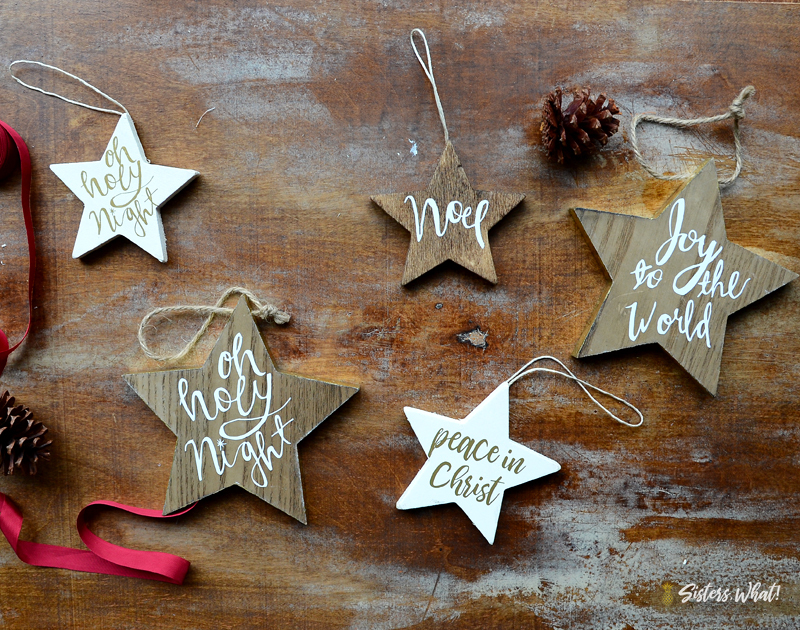 But I'm really slow at hand lettering and I wanted to make quite a few for gifts. So I uploaded the design onto my computer and made it into a cut file using my Silhouette machine. 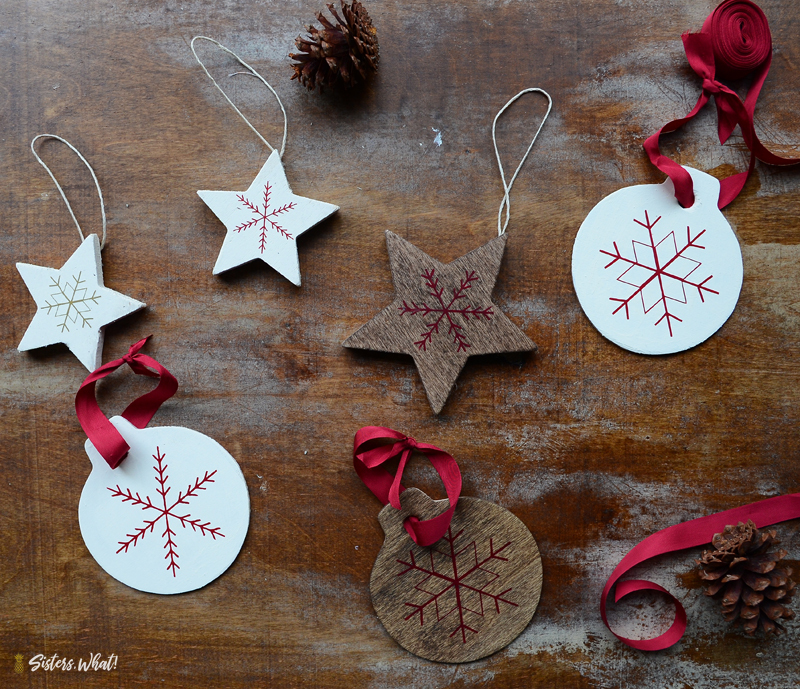 Also, I really love Scandinavian Christmas designs, I decided to make some snowflake stars and circles. 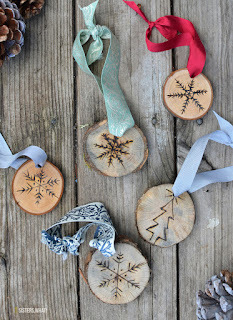 I love how those ones turned out and how simple they are. 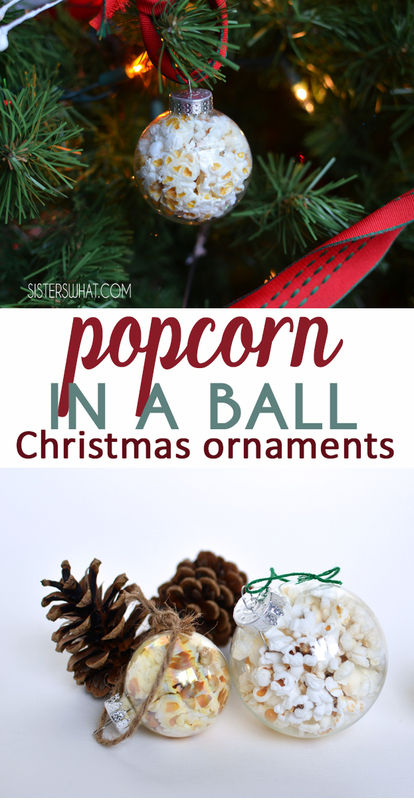 First you want to stain or paint your ornaments. Whatever you prefer. I love how both looks turned out. I did a dark walnut and a walnut stain. 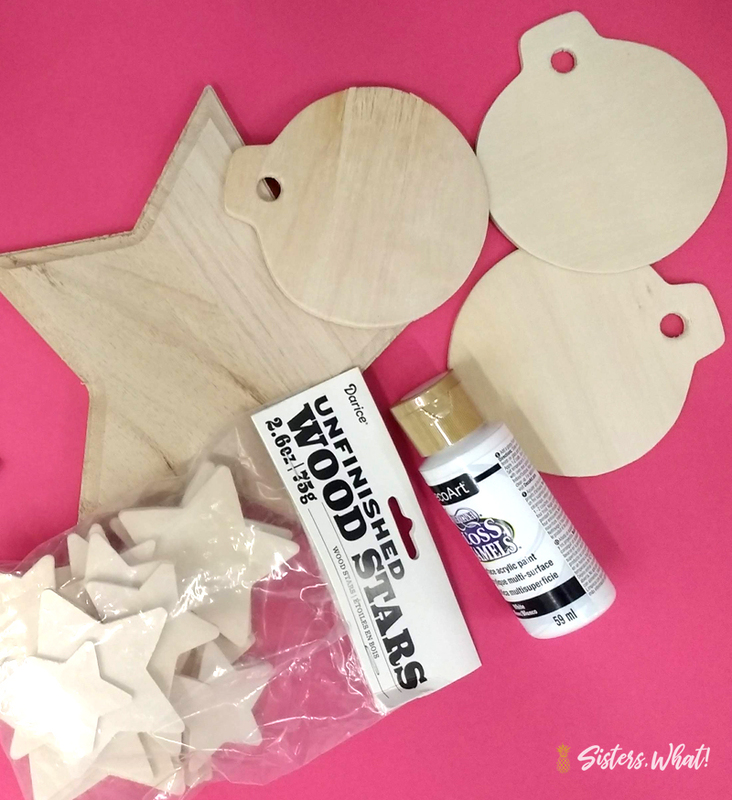 Let the stain dry and spray with a sealant. First trace the designs into your design space for your cutting machine to turn into cut files. I use a silhouette so I traced the designs. 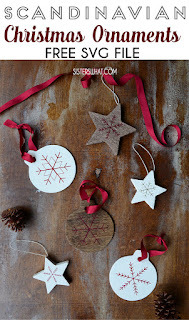 Then I measured my stars and resized my designs so that it would fit the measurements of the stars/round ornaments. 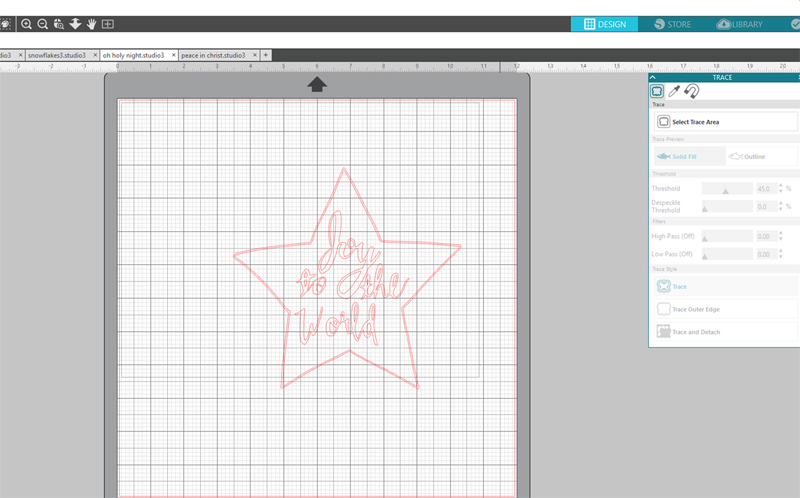 *it might help to trace your star and add it into your studio so that you can use it as a template for your design. But make sure you remove it before cutting your design. Next, if you are using heat transfer/iron vinyl, remember to mirror image or flip horizontally your design before cutting. However, if you are just using regular vinyl or making a stencil you do not need to do flip the phrases designs. 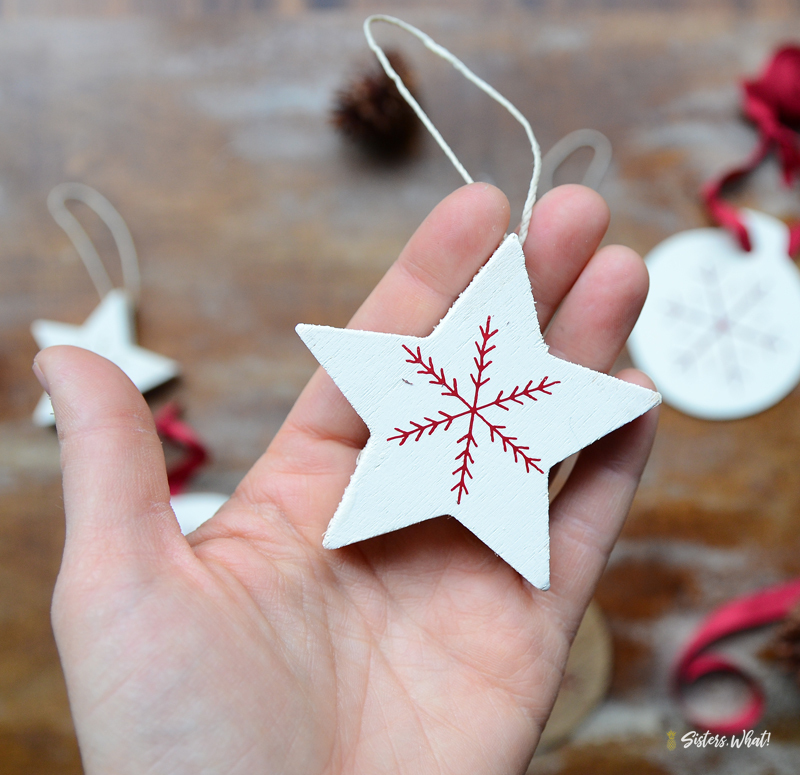 The snowflake does not need to be flipped. 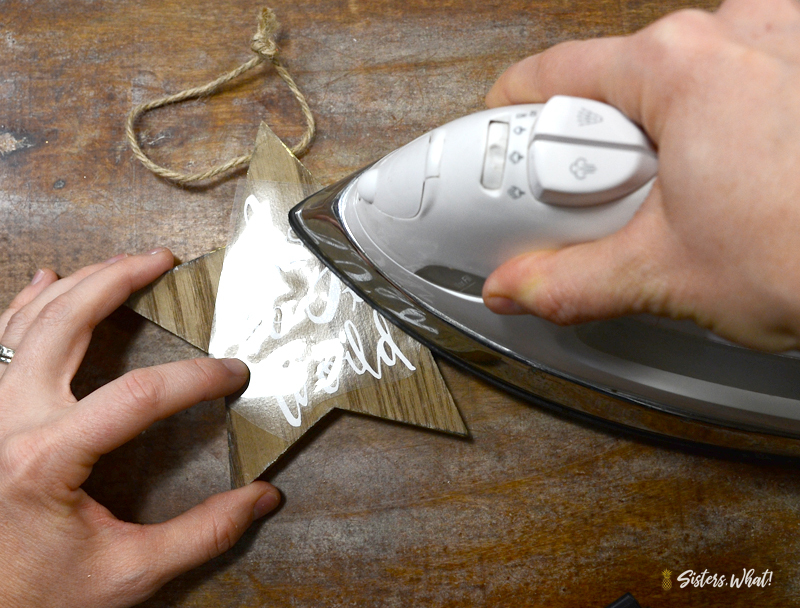 Then iron your design on the star.